Antarctica’s Don Juan Pond might be the unlikeliest body of water on Earth. 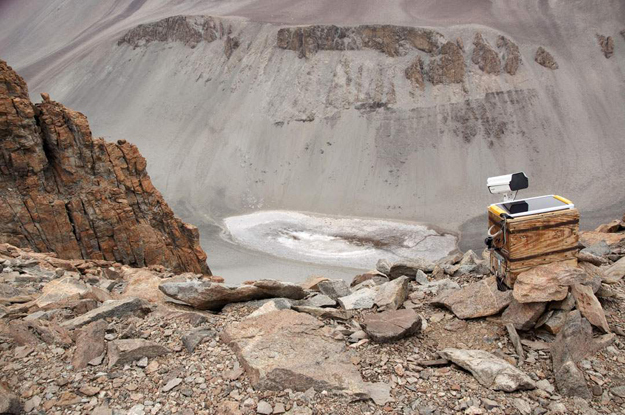 Situated in the frigid McMurdo Dry Valleys, only the pond’s high salt content — by far the highest of any body of water on the planet — keeps it from freezing into oblivion. Now a research team led by Brown University geologists has discovered how Don Juan Pond gets the salty water it needs to exist. Using time lapse photography and other data, the researchers show that water sucked out of the atmosphere by parched, salty soil is the source of the saltwater brine that keeps the pond from freezing. Combine that with some fresh water flowing in from melting snow, and you’ve got a pond able to remain fluid in one of the coldest and driest places on Earth. And because of the similarities between the Dry Valleys and the frozen desert of Mars, the findings could have important implications for water flow on the Red Planet both in the past and maybe in the present. Read more: Earth's Saltiest Pond: Implications for Water on Mars – SpaceRef.